Wrist Strap - Elastic band with velcro fastener. Thumb, side, & back of hand protection - high density foam. 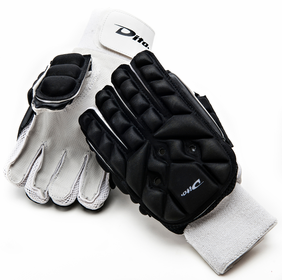 Palm - Full breathable leather with vents. Finger Sides - Side, cloth, vented. A full pair of Right and Left hand gloves are in this package. XSmall - female hands, under 10 year old. Small - female hands, 10 to 14 year old. Medium - female hands, 15+ or male youth.